What happens if court stops payment of an irrevocable, confirmed letter of credit? 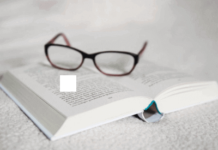 What happens if court stops payment of an irrevocable, confirmed letter of credit which is payable 90 days after sight due to low quality of goods? 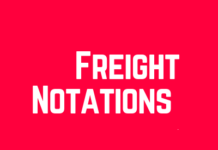 In many countries, applicants able to prevent payments under letters of credit by obtaining court orders on the grounds that low quality goods shipment or fraudulent actions of the beneficiaries. Often courts issue a temporary or preliminary injunction. On this post I demonstrate a court order that stops payment of an irrevocable confirmed deferred payment letter of credit. A multinational company’s Saudi Arabia branch signed a sales contract with a South Korean steel supplier. The product being traded was Cold Rolled Steel Sheets. 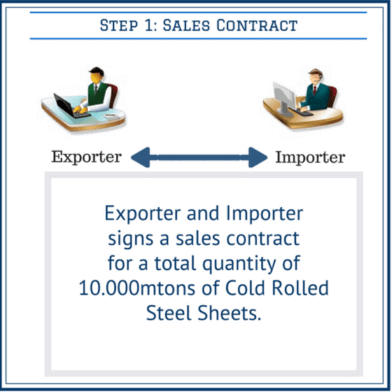 Sales contract amount was 9.700.000,00 USD and quantity of goods was 10.000 mtons. Importer company which is the beneficiary under the letter of credit transaction is Strong Saudi Steel Import Co. Ltd and exporting company which is the applicant under the letter of credit transaction is Korean Shining Steel Exporter Ltd.
A Saudi Arabian commercial bank issued the letter of credit which is available by a deferred payment payable 90 days after sight. The letter of credit is subject to UCP 600 and it is irrevocable. 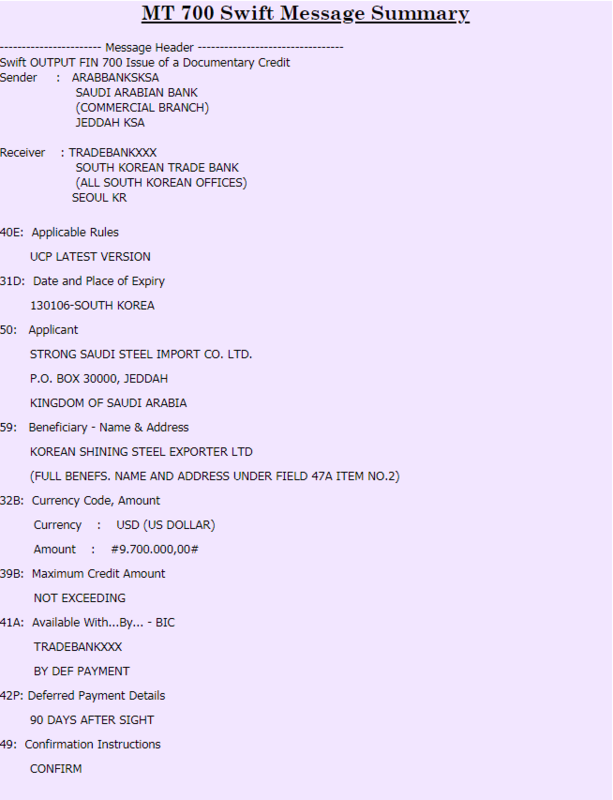 Letter of credit is available with a South Korean national commercial bank. Also issuing bank requested from the nominated bank to confirm the credit. You can find important details of the letter of credit on below MT 700 swift message summary. 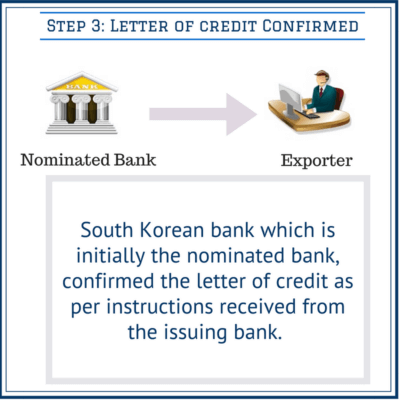 South Korean bank, which was initially the nominated bank, confirmed the letter of credit as per instructions received from the issuing bank. Once South Korean bank confirmed the letter of credit, it became the confirming bank. Under UCP 600 rules confirming banks have to honor complying presentations. 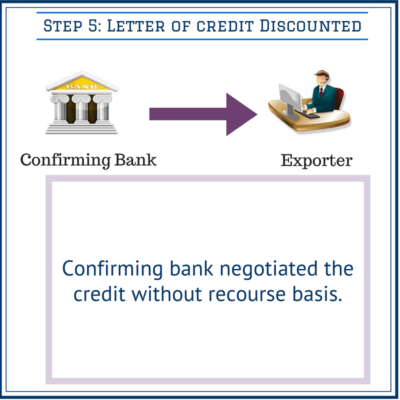 Confirming banks can also discount letters of credit upon exporters’ demand. After having the letter of credit confirmed, the exporter arranged the shipment and made the presentation to the South Korean Bank which is not only the nominated bank but also the confirming bank. 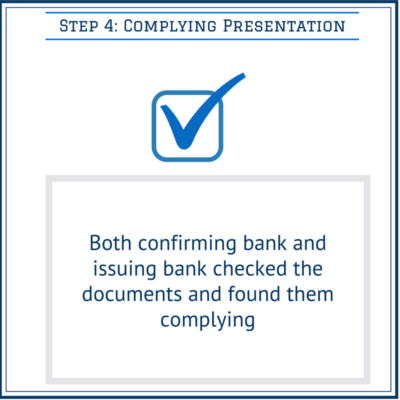 Confirming bank checked the documents and found them complying. Confirming bank determined that the documents have been presented was free of errors. Confirming bank sent the documents to the issuing bank. The issuing bank also confirmed, by an authenticated swift message that, the acceptance of documents and the remittance of funds with a value maturity date. 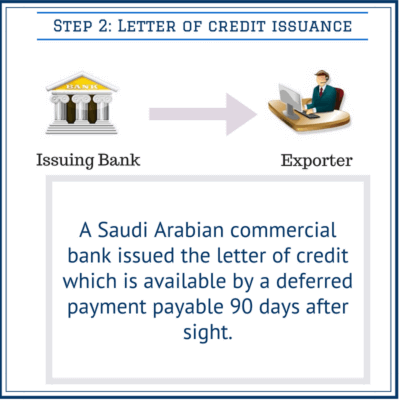 As it was mentioned earlier, the letter of credit is payable with a deferred payment which is 90 days after sight. The exporter applied to the confirming bank to discount the credit in order to get the payment in advance of the maturity date of the credit. 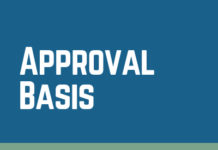 Confirming bank and the exporter agreed on the terms and conditions of the letter of credit discount and confirming bank negotiated the credit without recourse basis. The confirming bank purchased the deferred payment undertaking resulting from documents presented in full conformity with the terms and conditions of the letter of credit and effected payment to the beneficiary. 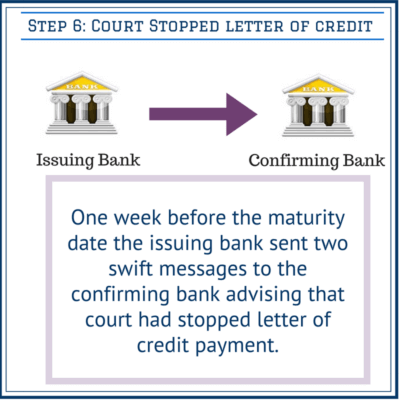 One week before the maturity date, the issuing bank informed the confirming that the letter of credit payment has been stopped by the court order. 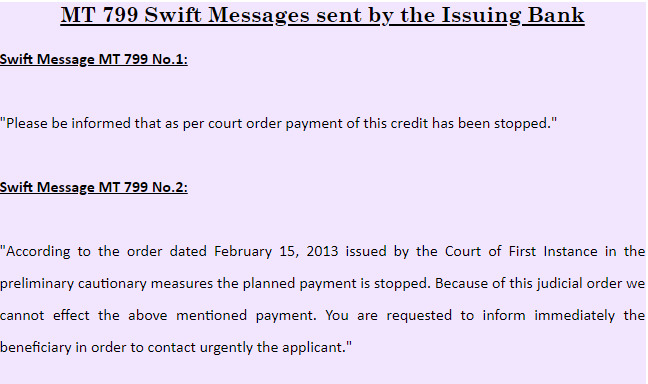 After sending two informative swift messages, the issuing bank sent a telefax copy of the court order to the confirming bank. Additionally, the issuing bank sent a swift message to the confirming bank requesting to inform the issuing bank whether the confirming bank had already paid to the beneficiary or not. The confirming bank sent its objections to the issuing bank via authenticated swift message 3 days after issuing bank’s swift messages have been received. The confirming bank claimed that the court ordered to stopped the payment to the beneficiary, but according to UCP 600 rules the confirming banks are the owner of the receivables and entitled to receive the counter-value without any further delay. Below you can find the summary of the swift message sent from confirming bank to the issuing bank. 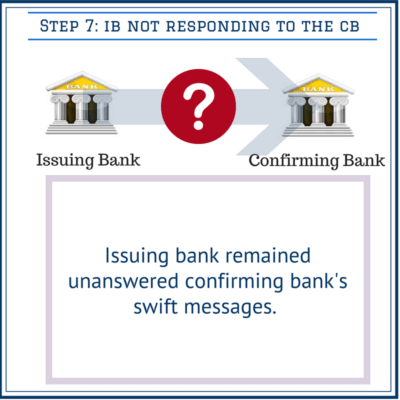 Step 7: Issuing bank remained unanswered confirming bank’s swift messages. The confirming bank believed that the issuing bank is obliged to honour the nominated bank’s reimbursement claim immediately upon maturity, even if a court order issued against the issuing bank prohibits payment to the beneficiary. As the issuing bank remained silence the confirming bank applied to the ICC banking commission for an opinion. ICC banking commission states that local law will prevail over the letter of credit transaction. As a result banks must act according to court orders. 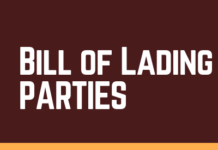 However, the credit was subject to UCP 600 and apparently contained no exclusion to the rule appearing in sub-article 12 (b). Due to the content of sub-article 12 (b) and sub-article 7 (c), the issuing bank should seek to resist such an injunction in order to preserve the integrity of its credit and the UCP. 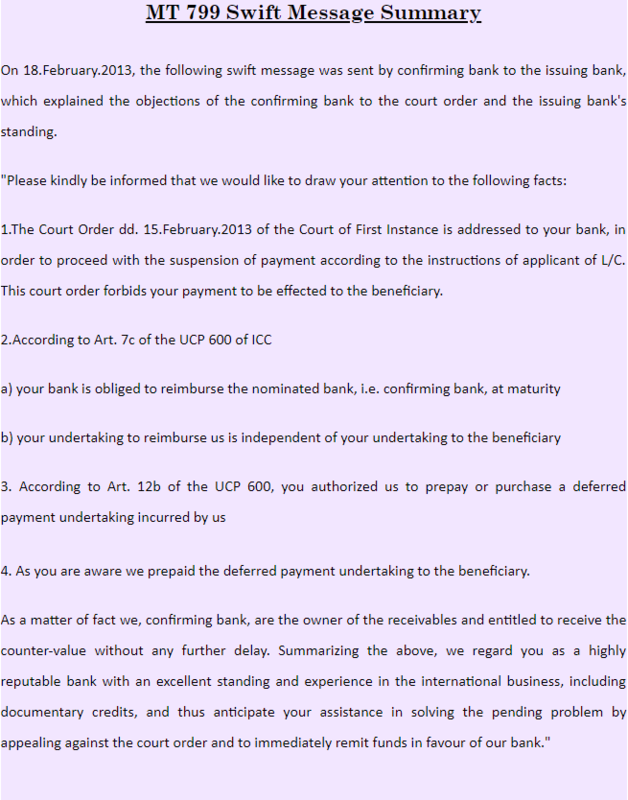 It must be expected that the issuing bank will seek to have the injunction removed by referring the court to the appropriate articles of UCP 600 and the terms and conditions of the credit. The issuing bank would also be well advised to inform its applicant(s) of the content and effect of sub-article 12 (b) for this and any future transactions. It is the responsibility of the applicant to cover any issues concerning quality of goods in the documents called for and the data content required to appear on those documents, and not to seek redress that affects the right of a nominated bank to receive reimbursement in respect of a complying presentation. This case study created by Ozgur Eker based on the information gathered from ICC Opinion R629 / TA672rev. Previous articleHow to Cancel a Letter of Credit?